Hi everyone in blog land, This is my second post today! Please scroll down to the other post, for exciting happenings. This card was created for Joans Garden challenge. Sometimes I have to go to my digital files for her challenges because I'm missing an element. This time it was a basket. 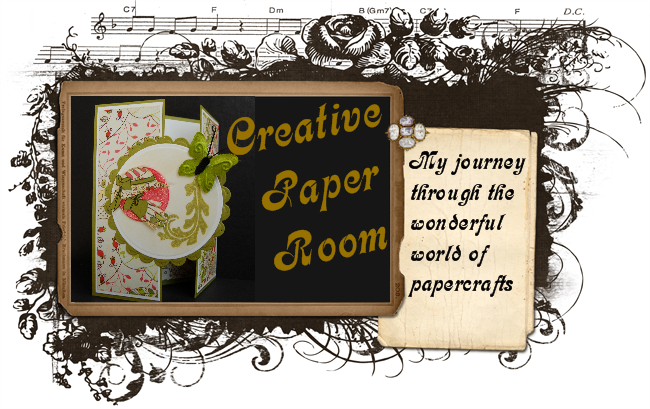 No stamps with baskets, but I did have several baskets in my digi files from PC Crafter. In addition she wanted use to use Green and White dp. I decided since I was in my digi file and I love this greenhouse I would put my baskets inside and outside the greenhouse. Can you find them? Just a different pace for me! I hope you like this one. Hugs for now, be back later! Colleen,your card is very interesting and different. I love green houses. Thanks so much for joining us at Joan's Gardens for our weekly challenge. Way to pull this one out of your stash of images! It's lovely! This is totally unique! Love your greenhouse and that basket of flowers! Had to enlarge to find the one outside! Totally awesome... love the pretty basket of flowers! You go girl! 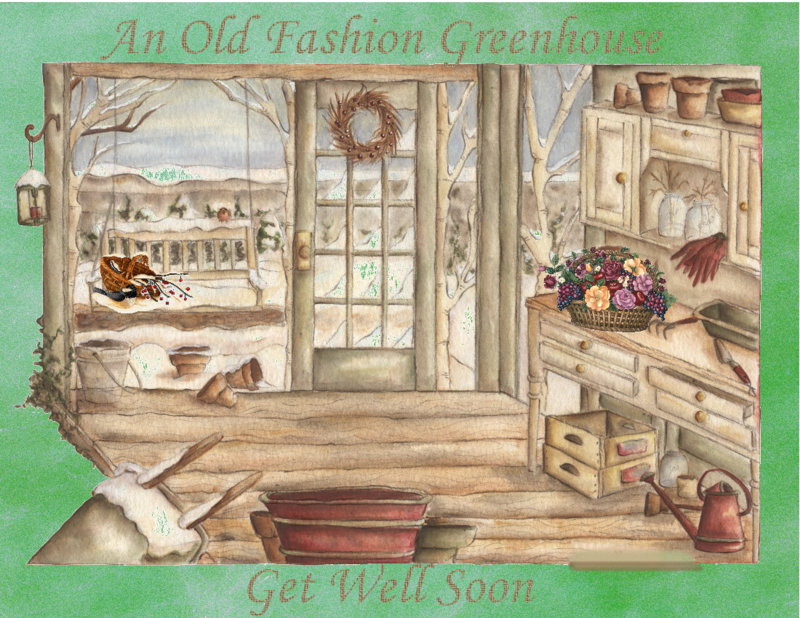 Wonderful card, I too love greenhouses, so warm, pretty and inviting, just like your card! !